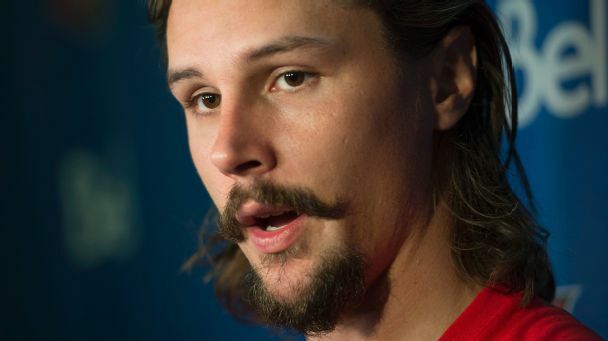 Standing pat in the offseason and the still-healing injury of their superstar defenseman could mean a step back for last season's Cinderella Senators. 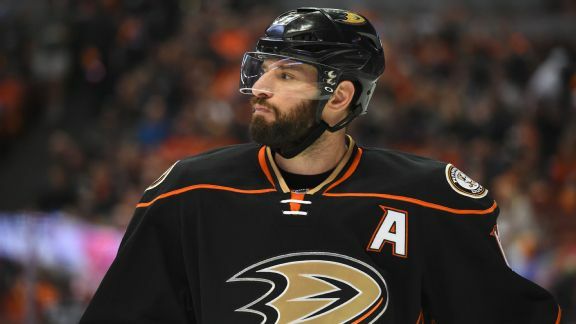 Every team has a guy -- like Ryan Kesler, Austin Watson, Patric Hornqvist or Jean-Gabriel Pageau -- who'll grab, tug and irritate foes until they retaliate and swear their way to the penalty box. 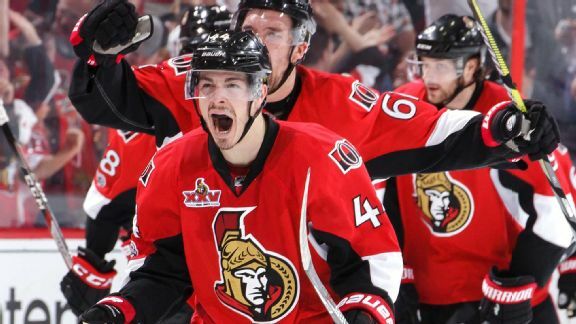 After dining out on the Rangers in Game 2, flavor of the moment Jean-Gabriel Pageau has found a recipe for playoff success after taking on a new role with the Senators. 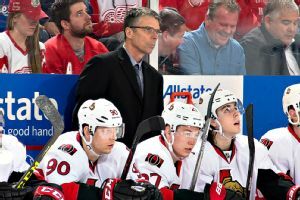 The Ottawa Senators signed coach Dave Cameron to a two-year contract extension Thursday.